I grew up with boats long before I became skipper of a converted rowing boat. They were in my mind through the fiction of Arthur Ransome’s Swallows and Amazons series. They were a comfort during the long lunch times at a new school. I would ponder for hours on exactly what was going on in that famous passage where the Walker children first rig Swallow. A simpler rig you could not image but even this was full of nautical detail beyond the comprehension of a handful at my school, myself included. I received my first sailing instruction at Dabchicks Sailing Club in West Mersea where the juniors, usually fourteen, fifteen and sixteen year olds would oggle each other across a heaving Wayfairer. I had not a clue – about girls as well as boats. 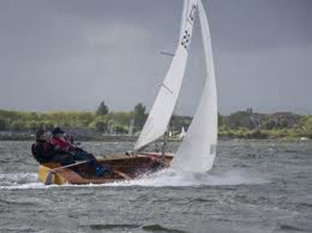 Only when I went out as a fifteen year old racing in a Wayfairer during Mersea Week with two adult men in a Force 4, and discovered shortly after starting that I was the most experienced on board, did the Dabchicks training come into its own. Whether I expected to survive this race I cannot say but we did complete it, and the mixture of fear and achievement had me hooked. I tried regularly to drown myself in my own little converted tender, the Wasp. Heavy as lead with an undersized sail and an old seagull engine, the world was ours. Our school shared a pool of boats on Ardleigh Reservoir. The Wednesday afternoon sails gave me the opportunity to make frequent mistakes as a skipper and it was then that I started to develop my instincts. Much sailing in many boats has taken place since, and I now have my own cruiser. Much sailing in many boats has taken place since, and I now have my own cruiser. But I still hold it as true that it is not until you are the skipper in your own boat that you really begin to understand what is going on, and the importance of making a mistake only once and learning from it. That is why I believe that the idea of BoatShare is so marvellous. Of course sharing the cost is an attractive advantage and maybe addresses the key reason that people don’t take the plunge into having their own boat. But the real benefit is that it allows a person to experience that terrifying independence of ‘being in charge’ and of sinking or floating according to your own judgements; of having a hundred things to think of while remaining focused on the immediate security of the boat and crew. I do relax on the water too, but calls to action are never far away. In spite of the picture of teeth-grinding tension I paint, the responsibility is relaxing and skippering your own boat brings with it a self-knowledge and sense of achievement hard to find elsewhere. Although at present I am only looking for partners for a GP14 I am eager to get my cruiser in trim and look for partners for her too, an old Eventide in great condition. I liked other blogs that talked about finding a boatshare partner but also finding someone to share sailing with. Not essential for me as I do have friends but it is always good to be with like-minded people. I am not a big racer and rather prefer to explore the backwaters with a bottle of wine and some oysters. However I belong to the Tollesbury Sailing club and they have a large fleet of GPs that race every week and I would like to try a few races with them. Boatsharing with a dinghy gives you ready-made crews, and perhaps experienced skippers, for such opportunities. I look forward greatly to meeting my new partners. 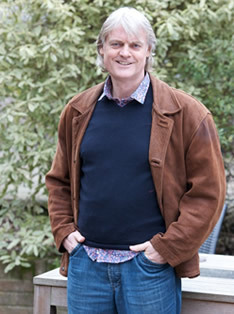 John has a background both as an actor and in international law. He has lived and worked in Germany, Greece and Holland and holds a masters degree in International Business Law.